It is as if Tinkerbell has waved her magic wand over Pyhätunturi to have a nights sleep in an igloo. There are ice-crystals hanging in the air, catching the light of the sun and glistening and sparkling like the illustrations of a wintry fairy-tale. The unworldly setting accompanies the expedition heading off, pulling sleds behind them, towards the 540-metre fell known as Noitatunturi. “We’ll take a brief warming-up break here”, says the party’s leader Martti Verkasalo as they come to the Park and Forest Service fell-hut at Karhunjuomalampi (the direct translation is “Bear Drink Tarn”). This is the last fortress of so-called civilization before the group head into the wild white yonder. One observer comments that that’s how it looks when the real hardmen head off to Halti (Finland’s highest fell at 1328m) in January for a spot of ice fishing and to sleep out in caves they have dug in the snow. The image is pretty close to the truth. In this case, however, there are three “hardwomen” in the group, and they are not after fishing through a hole in the ice, for the trekking is to be accompanied by some off-off-piste snowboarding. 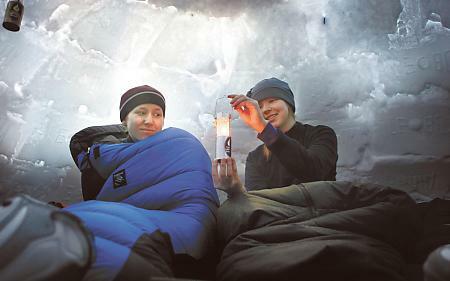 Saara Kurttila also reveals to one of the inquisitive passers-by that the aim is to build an igloo and spend five nights in at as a base-camp. “Then we are going to climb the fell in our snowshoes and come down on the boards. We’ll see how well we get on.” Noitatunturi is one of the gems of the Pyhätunturi National Park, a former place of worship for the S‡mi (the name in English is Witch Fell), and a popular challenge for hikers. However, most hikers choose to make the trip under the Midnight Sun and spend the night at a wilderness hut further west at Huttujärvi. This trip is an altogether different cup of tea. Matti Verkasalo calls the trek “cross-country snowboarding”. This is not a macho extreme sport, however, he emphasizes. The expedition is rather more one of humbly treading in the footsteps of the fell-wolves, trying to learn some wilderness survival skills, and living in harmony with the natural surroundings. And did we say we love to sleep in an igloo? The sleds jerk forwards. After a hike of around four hours, the group selects a spot for a base-camp on the slopes of Noitatunturi. An area of flatter ground at around the tree-line provides a fabulous view down to a broad valley, on the other side of which rises the outline of Luostotunturi (514m), some twenty kilometres to the north. 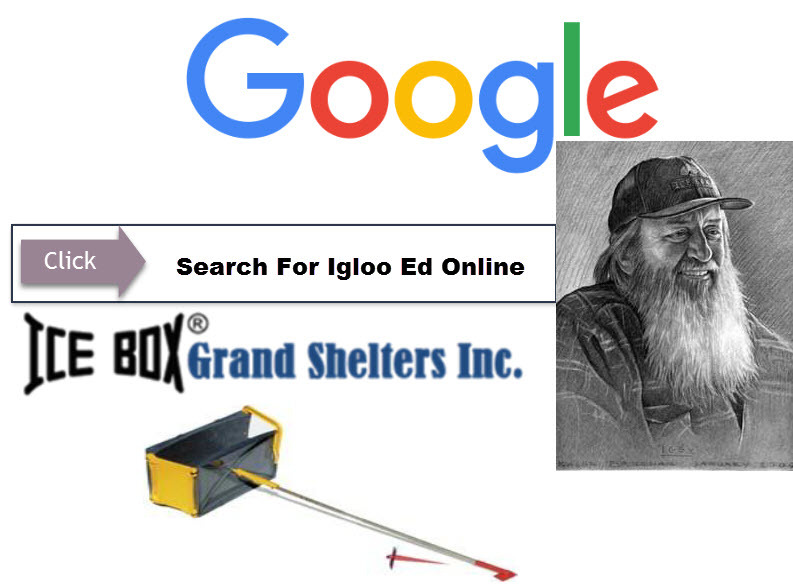 The building of an igloo begins immediately after a break for refreshments. In truth, at this early stage there are plenty of one-liners going around about the possibility of high-tailing it back to the hut at Karhujuomalampi or calling in a chopper to get them the hell out of here. But that’s all they are – jokes. Pretty soon, a good rhythm develops to the construction work. The igloo is being erected using the American method. The snow is packed into a mould, where it forms into a solid block, and thus the work progresses one brick at a time. Satu Kinnunen, a nursing student from Mikkeli, whacks at the snow with a shovel, and the others tread it down into fine granules. Saara Kurttila stirs up the snow and lifts it into the mould. The snow should apparently first be “warmed” so that it can set properly in blocks. Youth worker Pauliina Viljakainen, the third woman in the party, takes a turn with the show-shovel. Henri Vuollekoski, a physics undergraduate from Helsinki, has dug out a path to the latrines. The party has taken a chemical portaloo along with them. The sun has traversed around to the West, the work has progressed, and the igloo has taken on its familiar shape. Pauliina, the group’s most talented snowboarder, gets a chance to try out her board. Although she is leading the Finnish Cup standings in the snowboarding slalom category, Pauliina is definitely not averse to a bit of free-riding down uncorked powder snow. “When you combine trekking with snowboarding, it takes on a completely new dimension. The snow here is different, it is finer than the stuff you get on groomed slopes. There’s a sense of freedom to be had coming down through this.” Saara admires the view. It is hard to imagine getting much closer to nature than this. Henri is given the task of making the door opening to the igloo. It looks just like those Eskimo igloos that are familiar from comic strips with a narrow tunnel at ground level or below, so that the warm air does not escape outside. The sun sets just after six and draws a red neon gash across the western horizon. We wish the snowboarders a pleasant night in their new home. They turn in and sleep in an igloo for the night and wish us a safe journey back to Pyhätunturi. As the evening draws into night, a carpet of Aurora Borealis is spread out in the eastern sky. The tree-branches creak and crack as the night-frost tightens its grip. Next morning, we hear that the temperature at the lower station of the Pyhätunturi ski-resort went down to -38°C overnight. Higher up on the fells it is likely that the temperature would not have fallen much below -20°C at its coldest. But it was warm in the igloo. When we return at around ten in the morning to the cross-country snowboarders’ base-camp, they are only just waking up. “We slept really well”, says Henri, as he clambers out through the doorway tunnel. Nobody has complained about the cold. Far from it. The sun is up and gaining strength, and the thermometer that has been hung on a pine tree nearby reads about -10°C in semi-shade. After a bowl of porridge, the team heads up the side of Noitatunturi, snowshoes on their feet and boards strapped to their backs. A f ew minutes later the boarders come blasting past us, carving patterns in the powder, and then they disappear into the snowy woods below.